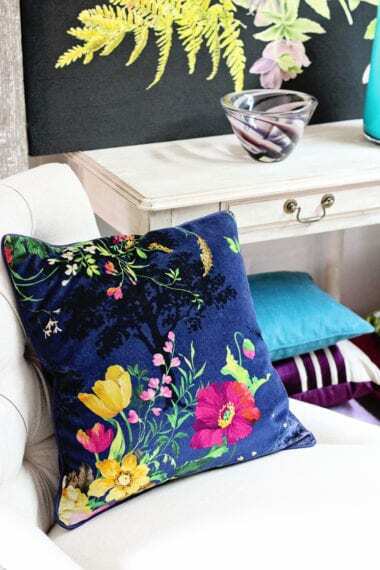 Styling with rich floral and vibrant berry shades….! I was delighted to go back to Home Stagers and run riot again with the glorious props and furniture the warehouse is stacked to the rafters with! For my first room set, I decided to go crazy with floral patterns and colour. The stunning canvas is digitally printed from the original artwork by local fabric designer and artist Carol Lake. 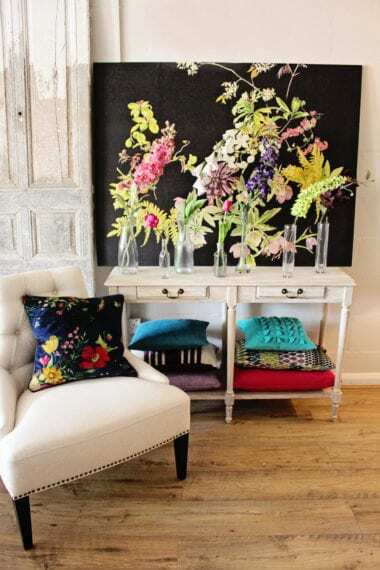 It is available by the metre and is fabulous for upholstery projects, but we decided to hang it on the wall, it would make a gorgeous focal point in a dining room or sitting room. 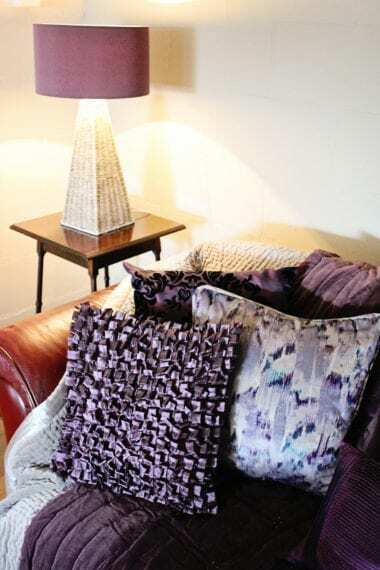 I stacked cushions in vibrant shades on the side table to add texture, and the club chair was brightened with the addition of a sumptuous velvet cushion in Swaffer fabric. I went with rich berry shades for my second room set. As the winter approaches, it is comforting to surround oneself with deeper, richer colours, and to layer up a sofa with textured throws, blankets and cushions. Think ruffles, pleats and embroidered detail. 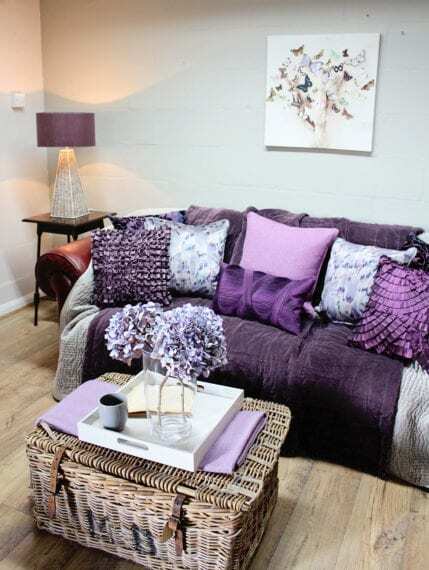 I love these shades of purple – add some lilac into the mix to keep it from looking too heavy. The dried hydrangea heads on the wicker trunk add a touch of rustic prettiness. I’m very much looking forward to coming back to Home Stagers very soon to put together some Christmas room sets and styling ideas!